Where Are St Louis’ Fastest-Selling Neighborhoods? 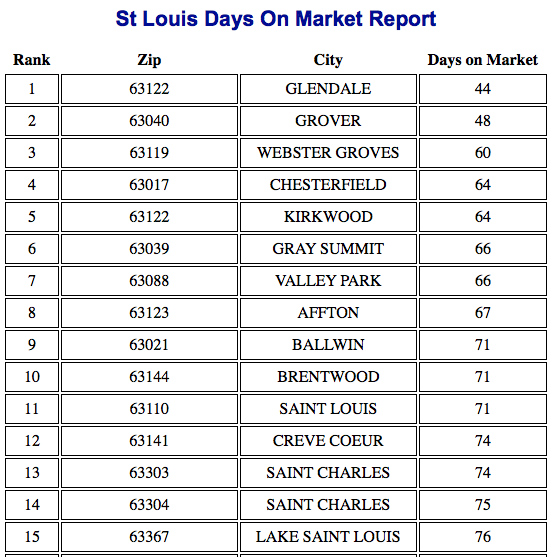 St Louis’ fastest-selling neighborhoods today can be found throughout the St Louis area, however, as the list of the 15 fastest selling neighborhoods below shows, the lions share are found within St Louis County. Ten of the neighborhoods are within St Louis County and then primarily mid-county and west county, then 3 can be found in St Charles county and then finally 1 in Franklin county and 1 in the city of St. Louis. Piqued your interest? If you would like more information on any of these homes or for a private viewing, click here. Where are the fastest selling neighborhoods in St Louis?